This is a personal website. Opinions and views expressed here are my own and do not reflect the opinions of any organization I am associated with and/or work for. 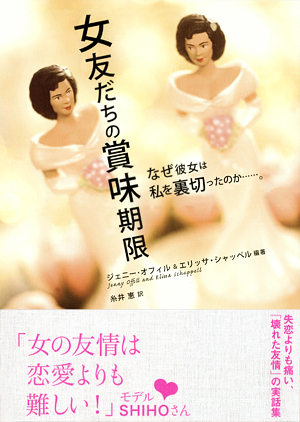 My new book (translation) "The Friend Who Got Away"
Here's the original American book I translated into Japanese: "The Friend Who Got Away" (Doubleday/2005). I'm running a website about it here: http://www.onna-tomodachi.net (sorry, Japanese only). My name has been misspelled as 'Kai Itoi' in some books.